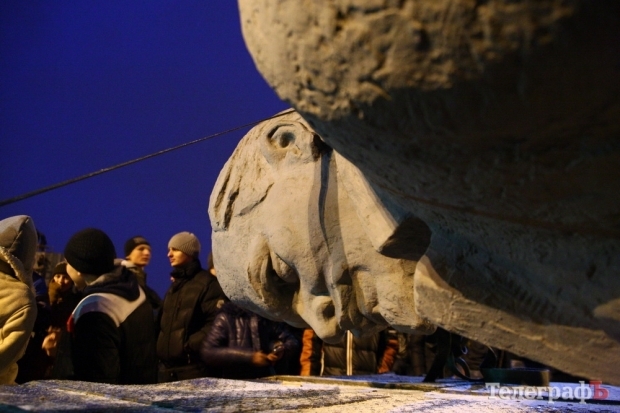 The monument toppling mania is long over and now Russians are quite sensitive about the “history”. One could remember the Bronze Soldier controversy that erupted in 2007 and cost Estonia a cyber-attack and yearly economic loss of 8 billion euro related to the worsening of economic relations with Russia. The authorities in Tallinn sought to move (not remove) the monument to the Soviet soldiers who liberated Estonia from Nazism to the outskirts of the city and that generated a massive outrage in Russia. Estonians were called fascists and accused of trying to re-write the history of the fight against Nazism. Estonian embassy in Moscow was repeatedly attacked, while the country itself faced cyber war at the hands of (probably Russian governmental sponsored) hackers. The initiatives by American mayors that sought to remove monuments to Confederacy have been met with harsh criticism in Russia: this probably touched a re-writing history nerve that usually makes people uneasy. Russia’s Channel One lamented that the footage from Durham where protesters pulled down and kicked the statue of a Confederate soldier chanting “No KKK, no fascist USA” looked like footage from Ukraine or “some faraway Arab country engulfed by war’ [Ukraine bashing/racism alert]. Somehow, all the reports about the monument controversy in the US on Channel One failed to mention the “Jews will not replace us” and even showing the Nazi insignia that the protesters sported. A fleeting reference to neo-Nazis that “used the statues as their symbols” neglected to mention the white supremacist ideology that would have been on the forefront of the report had a similar demonstration taken place elsewhere. Channel One recommended Americans to take Russia’s example where “symbols of Soviet past coexist with the new reality”. For starters, that coexistence is not that peaceful. New (!) 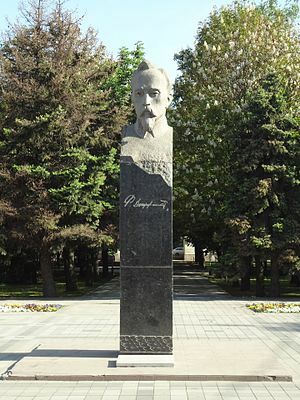 Stalin statues in several Russian statues have already sparked controversy. Moreover, hammer and sickle are not seen as symbols of oppression: Russia is the successor state to the Soviet Union, so these symbols do not create a similar emotional reaction as in Lithuania, for instance. Next, a lot of Russians don’t know that most of those confederate monuments were erected in the Jim Crow laws era and were supposed to signify and embolden white supremacy and justify slavery. Also, despite the Soviet refrains about “Americans are lynching n******”, most Russians would have no idea what kind of long lasting consequences slavery and segregation still have on American social fabric. Channel One reduced the monuments to white supremacy to “some judge who lived in the 19th century and didn’t consider blacks to be US citizens”. This is a deliberate whitewashing tactic that would have made Soviet era media managers rip their hair out in despair: such a good case of America bashing is wasted! The glossing over American Nazis is of course another piece of evidence for the continued support #45 enjoys with Russian state media. If Hillary Clinton was the enemy, and Trump is “ours”, how can he be a Nazi sympathizer? Isn’t fascism what Russia is fighting in Ukraine? Trump’s political incorrectness has always been more of a badge of honor in Russia where a head of state can threaten to “whack terrorists over the toilet”, but fascist stuff is definitely a no-no. So there is nothing left to do than to downplay the controversy and present Trump as the victim of “far-left” (also a term that Channel One used) and perpetuate the “many sides” malarkey. Confederate statue toppling might also have some connotations with the Ukrainian Leninopad – when statues of Lenin all over Ukraine were removed in an anti-Soviet cleanse. This was also painful for Russians: denouncing the common Soviet past as unequivocally bad steps on the great power and glory myth that many hold dear. That is probably the reason why there are new Stalin statues: a strong leader who won the war against Nazis is a good thing to have despite his spotty human rights record. Unfortunately, there is a big number of Stalin purge denialist who argue that the number of Big Terror victims (almost 2 Million) is grossly overestimated while the 20-30 million GULAG prisoners were necessary to propel the industrialization of the country. Counterfactuals are useless here, but slave labor (which GULAG essentially was) is not the most efficient economic model. Just ask Robert E. Lee. I like what the Czech Republic did. They got rid if the Lenin statues and erected a magnificent statue of Radegast.